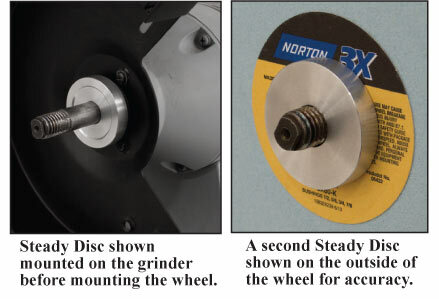 The Steady Disc will reduce side to side movement of most grinding wheels. Replace the inner washer on your grinder with a Steady Disc and greatly reduce the amount of side to side wobble. For even better results, another Steady Disc can be put on the outside of the wheel. 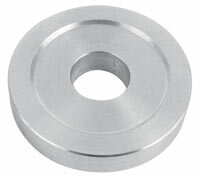 The Steady Discs are made of aircraft quality aluminum on CNC machinery, for maximum precision. They fit most grinders with a 5/8" arbor. Each disc measures 2" diameter by 3/8" thick.